Note: Since our ‘promotion’ to PC, my reviews have been more focused on the nuances of the new level, and I have not captured much info on the other levels. 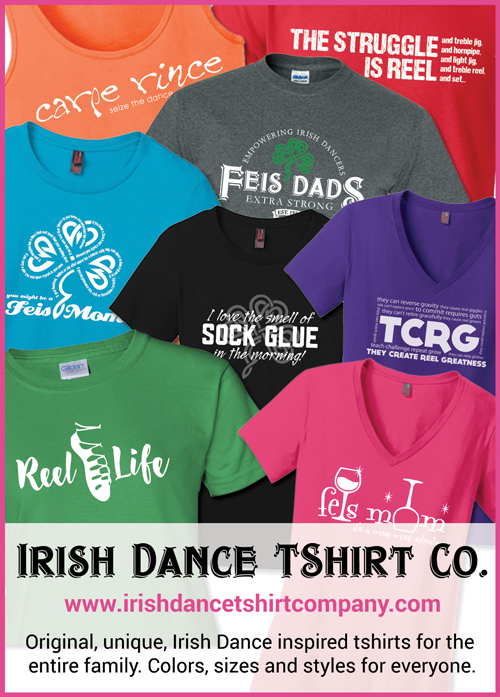 Looking for volunteers interested in helping me remedy that by adding grade level review info the the feis review. Thanks. 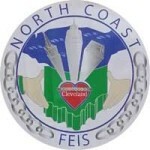 The North Coast Feis was held on February 1st, 2014 at the IX Center in Cleveland, OH. Venue – The IX Center was OK as a feis venue. The PC/OC area was in the ballroom on the main level and was a good size room, but not adequate for the amount of people needing to be in there. Parking was good, not all ‘close’, but plentiful. It was a bit pricey at $8. The weather was not great on that day but there was a large covered drop off area in front of the venuw. Judges – With the Girl Child having 3 dances, and dancing on 3 separate stages, and because PC dancers have 3 judges per stage, none of whom rotated to another stage, I have no complaints on the judging. Music -Each stage had its own musician and I did not hear any complaints about music. Food – Standard convention center food, hamburgers, cheesebugers, pretzels, pizza, wraps and salads, a coffee stand, various drink booths and beer. Food quality was OK but not worth the price. It was about what you expect for a convention center. Vendors – George, the shoe guy, and Betsy, his daughter(who also responds to ‘George’s Daughter’ btw), the feis t-shirt table, wig ladies, a jewelry booth, an Irish wool and linens vendor, and the photographer. You can see all the vendors at the the feis site under Vendors. Results – Results are different at Champ level, as some of you know. Results for all dances are completed, top 3 in each dance determined, and then the overall top half from the entire comp are determined. When they are ready, the dancers are gathered and awards presented. Feis Flow – Flow was not bad considering the number of dancers, TGC had three dances on three separate stages, with about 20 dancers in the comp and she was finished in roughly 2.5 hours. Since this is only the second PC feis we have attended, I really do not have a standard to judge it by, but I thought that was pretty good. Two part scoring with a Feis Score consisting of Judging, Music, Results and Flow, and then the overall consisting of everything. Feis Score: 7.75 – Not bad, but was really helped by judges and music, which by the nature of the champ level will probably score higher by default (gotta think about that for future reviews). This was our first time at NCF. As the mom of a grade level dancer, I have a few thoughts (as I usually do. lol!). There was a slightly unfortunate issue with Stage F (which is where my dancer was mainly scheduled to dance): it was missing a judge and a musician. I heard that the judge was stuck in Chicago, but never did hear about the musician. The communication about this was pretty much word-of-mouth and not everyone got the word. Understandably, there were some seriously irritated parents and dancers as dancers were shuffled from stage to stage. The teen volunteers at stage F were amazing. They kept their cool, and smiles, even when people were flat out yelling in their faces, and did an extraordinary job of making sure every dancer was present before any dance scheduled for Stage F began (regardless of where the dance had been transferred to). I can’t commend them enough. Those in charge….I can’t commend so much. Considering that I received an email seemingly every 3 minutes about PC/OC results, it is clear they had the ability to communicate what was happening with stage F and could have saved so much frustration just by communicating the information throughout the day to ensure everyone got the word. It would have made for a much more relaxed experience for everyone, especially their volunteers. The stages felt a little smallish for my dancer (who is U13) and those older, and even leggier, than she is. They were well cared for, though, and I didn’t see any slipping or falls. The judge rotation was great! Best we’ve encountered thus far. She got to dance for, and get feedback from, about 4 judges for 6 dances. And they all gave helpful feedback, smiled at the dancers, and despite all the frustrations they were very encouraging to the dancers. Can’t complain about that. :-). My dancer also really appreciated that there was a fantastic practice stage! The musicians were great, mostly accordions, and there wasn’t any music blending together from stage to stage. The musician at stage E got pretty upset because people kept jumping over the barrier behind her and it was quite disruptive. Why they didn’t have the tensabarriers set up to allow a walk way between stages D & E was a mystery. Not only was it annoying that there was only 1 way to enter the grade level stages, it also seemed rather unsafe given the number of people. Had there been an emergency, it would have been a bad situation. Hopefully that will be rethought next year. I felt the space was plenty roomy and there was a lot of camping available, don’t know why people weren’t using it. Dining tables were at a premium and people were camping at them! Tables were “claimed” with stuff and then left largely unoccupied and we had to eat on the floor. Hopefully that will be forbidden in the future. For the most part, results were posted very pr0mptly. For whatever reason, however, my dancer’s last dance was not posted for 40 minutes. The vendors were all packing up, stages were being torn down, and there wasn’t much to do during the wait. It was very frustrating. Worth it though, as it was the 2nd place needed for my dancer to claim the title of “Novice” in all her dances. :-). My dd dressed down at the grades level (I was running stage A) and my husband would page me just before her dance so that I could come up to watch her before heading back down into the trenches. :-/ It was a pretty good arrangement considering the lack of camping space upstairs, but obviously Something Needs To Be Done, especially in view that almost all of the ‘no camping’ areas had to be pressed into camping duty and it still didn’t accommodate everyone. Results *were* a pain in the posterior, and I’ll pass your review on to the people who set that up and see if there’s a more efficient way of handling it. No probs. :-) How did TGC do? My dd had an OK day, middle of the pack. We had a very long series of follow-up meetings after the feis was over, and the good news is that we are going to have a standard set of procedures to handle things like integrating refugee dancers and keeping the participants and parents informed in the event of troubles. I may have swayed everyone on the “let’s ALL do lunch at once” thing at the grades stages, but I may have to fight that battle again next year when they are setting the day’s schedule. :-P The bad news concerning the PC/OC stages is that there may not be any relief unless we can rent more of the IX center for less $$ than they are demanding. NCF is a break-even feis. Any “profits” get plowed back into the feis, and we genuinely did just break even this year, as we are going to be replacing several of the stages. The trouble with the NCF is that there are so many dance schools within spitting distance that it’s not just the parents who come with the dancers. Auntie Edna, Uncle Sean, Gran and Grandpa, assorted cousins and a few hangers-on of the ‘friend’ persuasion show up, too. This makes the venue very crowded (and leads to the seat-saving rudeness that we both abhor) and the immovable object “we can’t drop our champ cap!” folks has met the irresistible force of the greedy venue owners. There’s plenty of room at the IX center. If we could move the champ stages to the main floor and out of the ballroom, that would solve many problems. But the amount of money IX wants is well out of our budget, and they don’t seem interested in lowering the price, even though we are a non-profit (they claim we are getting a break already, which if true, makes the space breathtakingly expensive and not just holy crap! expensive). The tl;dr version: the champ stages are likely to remain overcrowded. I’ll keep you posted if anything changes. TGC did, well, lets just not talk about it ;) Only the second PC Feis though and first one with a set. Its hard when you place at your 1st PC feis, expectations are higher on down the line.